Coroplast is also known as Coroflute printing is a corrugated plastic. It is very common in the print industry. The benefit over Foamcore Printing is that is is sturdy, lightweight, rigid, weatherproof. Printing on Coroplast is an inexpensive method of producing outdoor temporary and semi-permanent signage. Can be used for lawn signs. Sintra PVC Board is a smoother looking option which is very strong and long lasting. Need temporary signage? Or looking to advertise your business outdoors? Corflute aka Coroplast Signs. Also, it is suitable for all weather conditions. Direct printing and self-adhesive available depending on quantity. 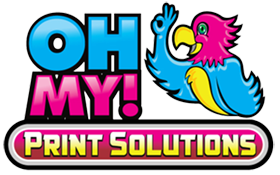 Your signage will be printable in full color at the photographic quality. It also gives you a sharp vibrant finish. Furthermore, it is excellent for political signs, lawn signs, outdoor signage and more. Wholesale rates and free shipping also available on bulk orders. Inquire within. Contact Us Now!